At Buffalo State many departments focus on the academic success of our students. Please take advantage of the many campus resources available. The Academic Standards Office provides information and assistance related to academic progress and financial aid eligibility. The Academic Commons currently includes advising, tutoring, and other academic services aimed at helping students succeed. 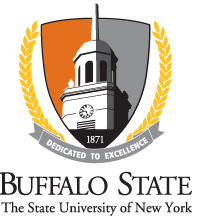 Student Accessibility Services or SAS ensures that Buffalo State students with disabilities receive the academic accommodations and services they are legally entitled to. Additionally, SAS is dedicated to making sure that all aspects of college life are accessible to students with disabilities, and providing training and education to the campus community.